Oh, September. This month was most notable for my complete lack of desire to blog... I barely opened my computer, even though I had plenty of post ideas. 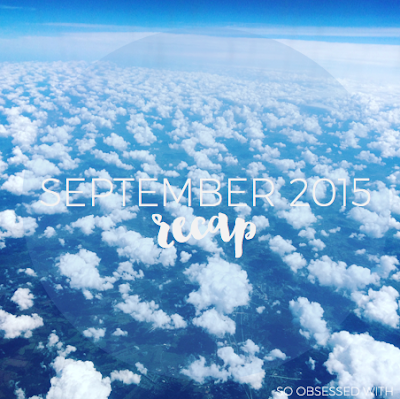 I'm hoping my blogging mojo will come back in October! 1. Most Anticipated Release - It feels like only yesterday that I was reading Heir of Fire for the first time... and yet it also seemed like I was waiting forever to read Queen of Shadows! It came out on September 1, and I actually took the day off work so I could stay in bed and read all day. IT WAS TOTALLY WORTH IT. 2. Mountain Getaway - For Labor Day weekend, Nick and I headed to the mountains! It was a little bit rainy that weekend, so we spent most of the time indoors. But it was still nice to have a relaxing few days away from home! I read, napped, pretended to watch college football, and ate some delicious food. 3. Chicago - For my mom's birthday, my brother and I surprised her with a trip to Chicago! She had been mentioning that she really wanted to go one day, and we thought it would be so fun to take her. So, we ditched the rest of the family and spent four days in the Windy City. We loved being tourists together! 4. Return of Fall TV & DVDs - It's probably silly, but I was so excited about the return of fall TV. I always look forward to when my favorite shows finally air! And I'm one of those crazy people who loves buying their favorite shows on DVD so I can watch them again and again, so I always look forward to September for those releases. that sweet tingle when a gold nugget sits in the palm of my hand. And my chickens." Overall: Surprisingly, my TTT post below! 1. Do Tell: Peek Into My Planner by Bella from Ciao Bella - I'm a total organization nerd, so I love getting to peek into someone's planner! I have this same Lilly Pulitzer planner, and it was fun to see how Bella is using hers. I might have to steal a few of her ideas for myself, especially the idea of bullet journaling. I'm intrigued! 2. When Your Faith is Not a Christian Romance Novel by Addie from Addie Zierman - I found this post through Modern Mrs. Darcy, and it spoke to me. I grew up reading the series referenced in this blog post, but I had a similar experience when I approached them as an adult. Addie's comments on faith really resonated with me. 3. Queen of Shadows Blog Tour by The Maas Thirteen - I fell in love with the Maas Thirteen's blog tour for Heir of Fire, and they've done it again for Queen of Shadows! I had so much fun following along with each stop and seeing what creative content they'd post next. I can't choose a favorite - there's so much amazingness! 4. Book People Talk Movies: Friday Night Lights by Morgan on Bring My Books - CLEAR EYES. FULL HEARTS. CAN'T LOSE. I'm already a huge fan of Friday Night Lights, but Morgan's guest post for Lindsay's blog reminded me of all the reasons I love this show! I've been trying to decide what to re-watch, and I think this is calling my name. I discovered this song while watching Everlark videos on YouTube (hush, I know). I can't tell you how many times I listened to it in September. REPEAT FOR DAYS. Age of Adaline (2015) starring Blake Lively and Michiel Huisman - I was so excited to see this movie when it first came out, but I let time get away from me and missed it in theaters. So, I decided to pre-order the DVD with the hope that I'd love it... and I did! This movie was a delight! I loved the costumes, the story, and the cast. From #OTSPSecretSister: A Little Princess by Frances Hodgson Burnett and other AMAZING goodies! I loved Addie's post too! 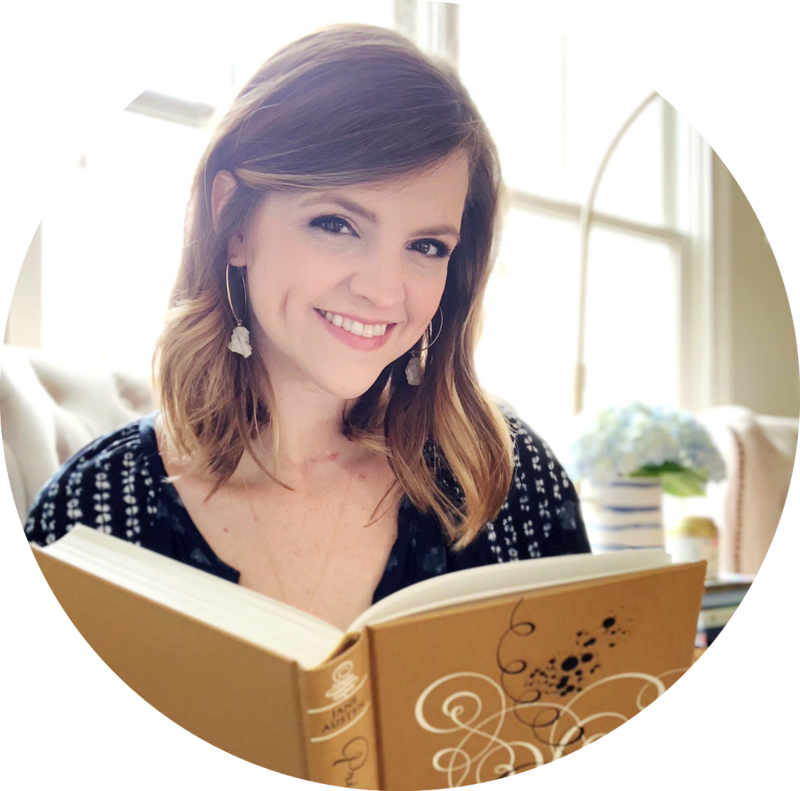 She writes really honest stuff, both on the blog and in her book. I'm glad you loved Age of Adaline. I'm hoping to watch it one of these days! Not gonna lie, I was nervous about AGE OF ADALINE only because of Blake Lively. I can't get Gossip Girl out of my head when I see her, and that's not exactly excellent tv/movie, you know? But gosh...we like similar movies, so if you adored it, I should probably check it out too! I'm watching Friday Night Lights for the first time and have NO idea how this show slipped by my radar when it was on TV. It's so perfect and I love it. 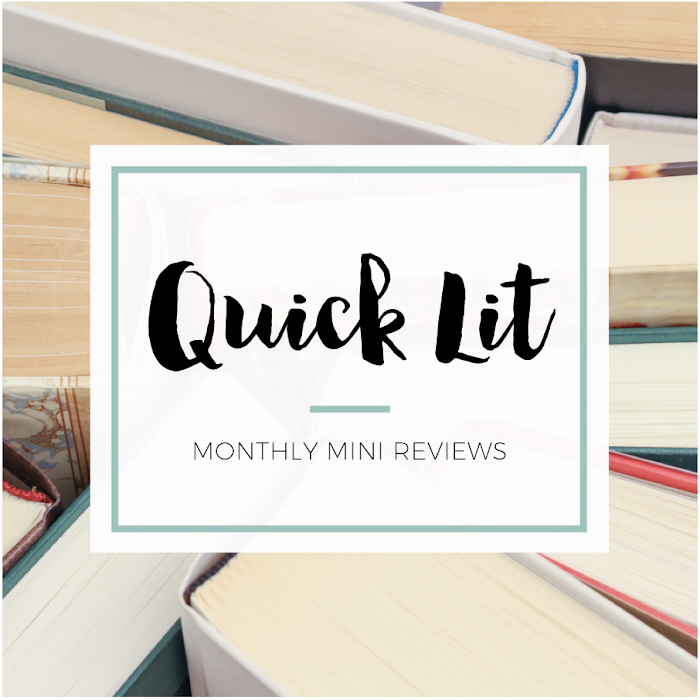 Feel free to link your post up to my Monthly Wrap-Up Round-Up if you're interested - it's a fun way for people to find new blogs and see what went on with everyone in September! Yay for September! I'm with you on the reading/blogging mojo. I've been keeping up for the most part (or at least I appear to be), but I've been a little slower and lazier than I used to be when it comes to this stuff. So far, early in October, I can say that my mojo is starting to pick up. Let's hope I stay on track with that! P.S. The cover for that Pride & Prejudice edition is super kaduper cute! I adore it.